One of the attractions of working as a land and property auctioneer is the variety of the job, from the many interesting people that we get to meet, through to the varied, unusual and sometimes stunning mix of properties that one gets to see, when just going about your job! 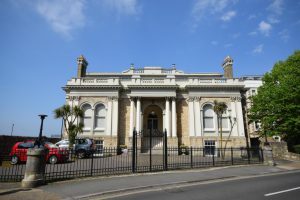 The Prince Consort building on Ryde seafront, which is being offered for sale in our auction on 3rd May 2019 is certainly one such building, with its splendid lines and architectural features to say nothing of the heritage and connections to Queen Victoria. 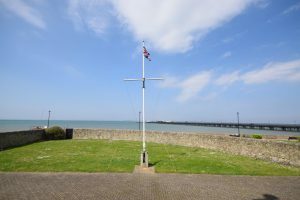 Understandably unhappy that she was not, as a female, able to enter the Royal Yacht Squadron in Cowes, Queen Victoria and Albert the Prince Consort set about founding their own club, the Royal Victoria Yacht Club in Ryde. Prince Albert laid the foundation stone of the clubhouse, now known as the Prince Consort building, on 2nd March 1846. The club developed quickly with the 1851 census showing three full-time live-in staff and the club acquired the land to the west of the building in 1852 and created landscaped gardens. In 1857 club rules were passed that forbade sleeping in the Reading Room or bathing on the beach in front of the Clubhouse. Following the death of Prince Albert in 1861 the club’s decision to cancel the following summers regatta at just a few days’ notice apparently caused great offence to the grieving Queen Victoria, who withdrew her patronage. Following Queen Victoria’s death in 1901, her son King Edward VII was granted royal patronage to RVYC, which continued to be one of the leading clubs on the Island. Her Majesty Queen Elizabeth II visited the building in 1965 on an official visit to the Isle of Wight but in 1966 the club relocated to Fishbourne and the building subsequently became a restaurant. 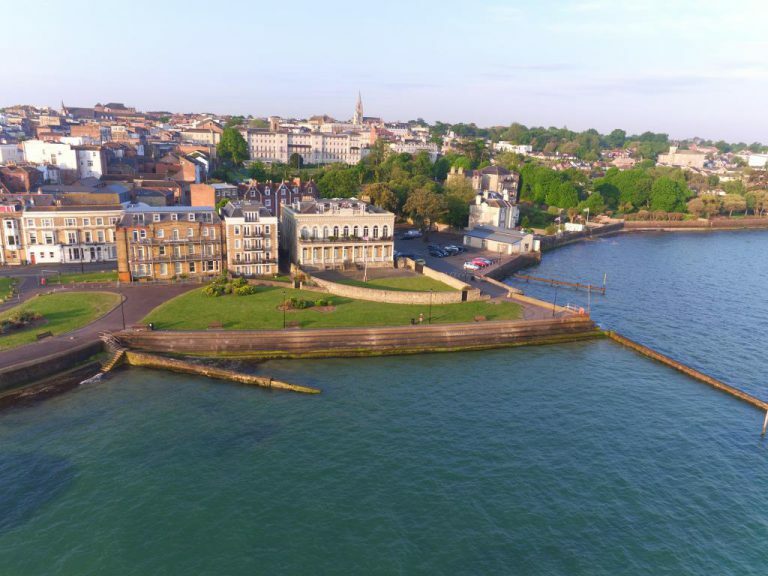 In recent years the building has had a variety of uses including as a nightclub and offices, with the upper two floors latterly converted to beautiful residential apartments, enjoying stunning Solent views. There are, at the time of writing, two “live” planning consents for the new owners to develop the two lower floors and take this splendid building on to the next phase of its life.